I found this poem in a lovely little book of my father’s called 100 Poems from the Japanese. I have no idea why he bought it and neither does my mother. He was not, unless very very secretly, an aficionado of Japanese culture. Most likely he made an impulsive purchase—the man loved owning books—but if the book is his Rosebud, I like to think the delicacy of traditional Japanese poetry was a refuge for a man living in a noisy household with eleven children and a dog. 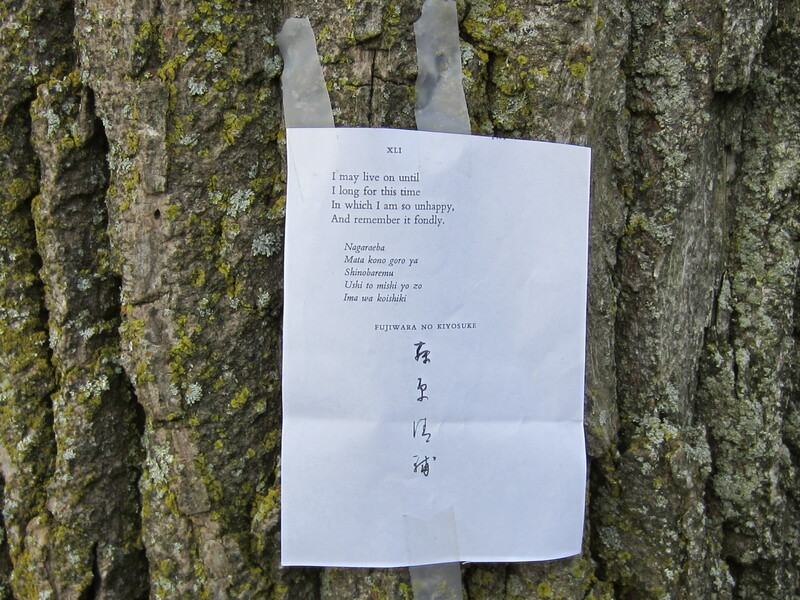 The elegance of Japanese poetic forms like haiku and tanka comes from the balance of simplicity and depth of feeling. 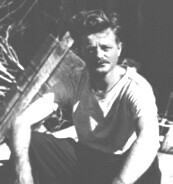 Translator Kenneth Rexroth has done a fine job of maintaining such elegance in the English version. This poem is tanka, which is a five-line poem with syllable lengths of 5-7-5-7-7. Achieving those syllabic lengths in translation without altering meaning must be impossible, so Rexroth creates his own delicate structure with a simple four-line poem of mostly one-syllable words. The effect is like listening to the rings of a crystal bell, with each word a single clear tone. In his introduction to the collection, the translator says that Japanese poetry usually works around a single “pivot” word, a word with double meaning. In this poem, the pivot word is “long.” Long signifies the intensity of desire for the past, but also suggests the length of time one must wait to feel such desire. The poem seems at first like a truism: bad times aren’t so bad in retrospect. But there’s a lot more going on than mere platitude-spewing. The poet writes I may live on not May I live on. Why the conditional? Because the line is not a wish or a blessing. It’s an unsentimental reality check. I may live till I look back fondly on unhappiness or I may not live that long. Rather bleak. And it gets only bleaker. Why would I long for the problems I have now? The chilling truth: worse problems lie ahead. Aging is not for the faint-hearted. On a cheerier note, and back to spewing platitudes, consider the alternative. Being alive is good. Even when it’s bad, life is good. It’s just that in the middle of unhappiness we can’t see it. Like a wise friend or good therapist, the poem provides perspective for the down-hearted. 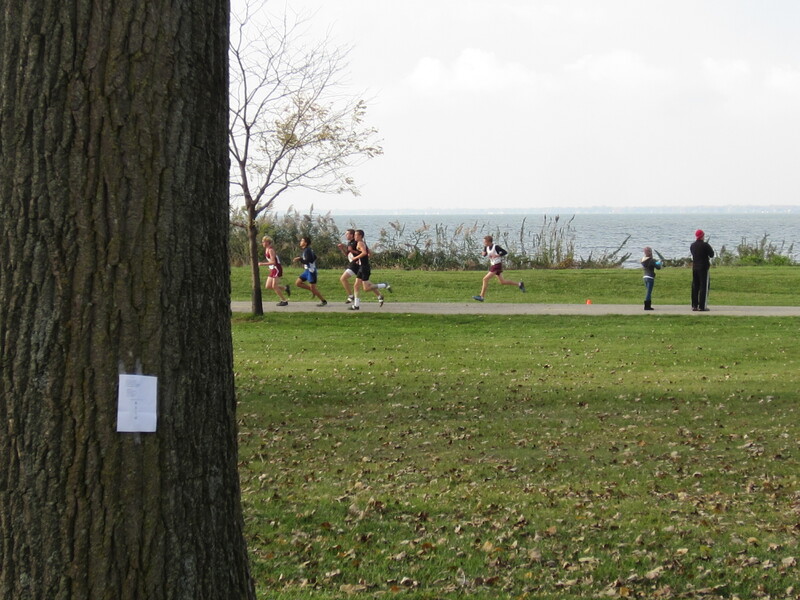 I left the poem at a high school cross country meet. I was thinking about the various people who might benefit from reading it. It got a little silly. To wit: if someday these runners have no legs, they’d remember their tired muscles with longing. If someday they’re hooked up to respirators, they’d sure miss feeling winded from running so fast. Even if they retain legs and lungs, the truth is that teenagers often lack perspective that troubles will pass. At this regional meet there would be many long-faced runners who just missed qualifying for states or who ended their season with injuries and disappointments, never being able to run as fast as all the cowbell-ringing parents and screaming coaches on the sidelines pressured them to. I was also thinking that the cowbell-ringing parents and screaming coaches needed perspective more than anyone. But in the end, as so often happens, the one who needed perspective was myself. 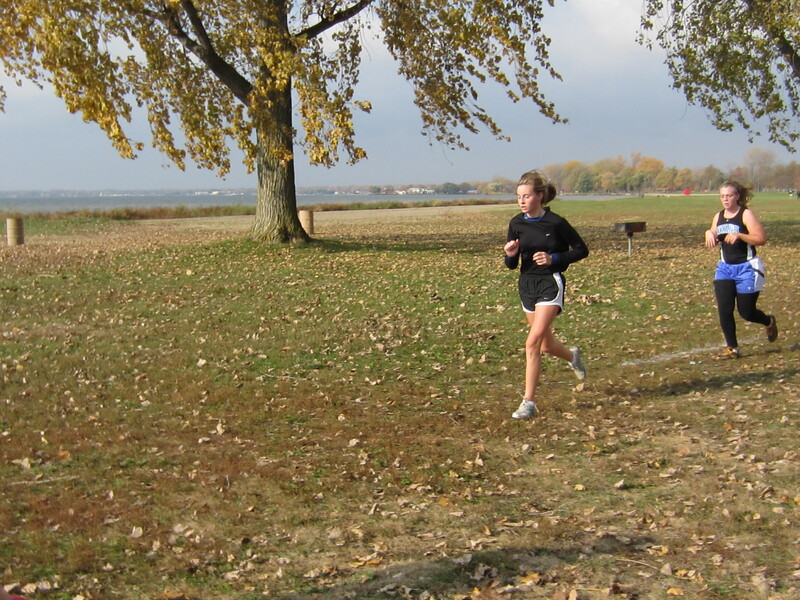 The meet was cold and windy and I wasn’t dressed properly. When I got back in the car, I looked in the rear view mirror and was dismayed to see a splotchy purple face. Aurgh. Thin skin that looks bruised in cold weather is one of the effects of aging that no one ever mentioned to me before. Gone are the days of looking fresh in the winter with pink cheeks that polish to a cold marble finish. Watering eyes, purple nose, dry lips—I looked like a crone. But then I thought, in twenty years I’ll look back on pictures of myself right now and wish I could look so young again. So there. The poet, Fujiwara no Kiyosuke (1104-1177), was from a noble Japanese family, kind of the Kennedys of their day. Besides being involved in politics, many of them were poets. Look for Rexroth to be poem elfed soon. This fellow intrigues me.